Creating healthier workplaces for all, through authentic, balanced leadership. The culture of a company is created by the way in which that company’s leaders carry themselves and through the actions that company takes. If a team is to be highly productive and engaged, it is key for those at the top to do as they say, and to demonstrate authentic leadership. There is an art to a balanced life. As a leader you must display self-discipline, purpose, and well-being. We know that ill health (whether physical or mental) has a negative impact, not just on individuals, but also on a company’s bottom line. So why don’t we take it more seriously? Mental health is a key factor in having a productive and engaged employee. Failing to address mental health the way we do physical health is costing businesses due to high staff turnover, sick leave, and falling productivity levels. The good news is that the number of companies with wellness programs is on the rise, and they are here to stay, because they realize that to be successful they need to be current and competitive, and looking to the well-being of their workforce is an excellent way to achieve this. If you are wanting to follow their good example, here are some ways you can switch up the workplace to keep on track for employee wellness. This helps in improving work/life balance, and the choice to work from home has become common with modern companies. In my experience, employees with flexible work schedules have higher job satisfaction, whilst also taking less sick leave. Flexible work hours allow employees not only to choose their days, but also to choose when they start and end those days. It’s not only parents who can benefit from choosing their hours to fit their life. The choice to miss traffic or go on public transport without feeling like a sardine makes a work day feel just a little better. Of course, granting employees this flexibility (especially if they are working from home) requires a certain level of trust by their employer. That is why it works. When employees feel empowered and trusted they are given good reason to show greater company loyalty, and actually become more, rather than less, productive. People perform far better under a system of trust and responsibility than a system of restraint and micro-management. So try giving your employees a little flexibility – it’s a very simple way to improve wellbeing and productivity, and done right, it shouldn’t cost you a cent. Value your employees’ strengths and diversity, rather than trying to make them fit the mold. Work-life balance is about more than just keeping your workers pacified. It means acknowledging that their life away from work actually makes them better workers – and possibly even better human beings. Have you ever stopped to consider that as an employer you aren’t grudgingly allowing your employee to leave work early to pick up the kids from school, but that your employee has enrolled in the valuable personal development program of parenthood? Gifting you in return with a worker who has upskilled in the areas of patience and compassion. What about generational gaps? 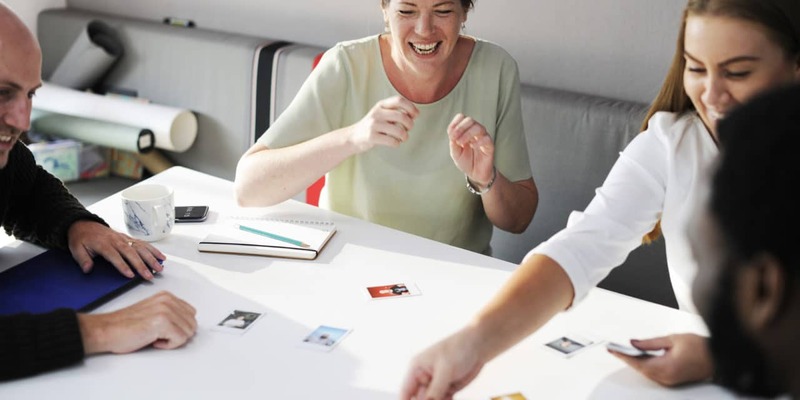 Millennials may seem like a different species, but have you considered the energy and enthusiasm they bring to the workplace, and what an asset this can be if paired with the wisdom and experience of older workers? Now I’m not suggesting every employer has to go out and buy an office ping-pong table. What you do need to be doing though is thinking about your workplace culture. The reason investing in a ping-pong table might not work is that workplace culture isn’t something that can be constructed artificially. The reason it might work is that changes from the top – changes that show the leadership sees employees as people, not producers – are bound to improve your workers’ sense of wellbeing and morale. You want your business to have sustainable success, and a great way to do this is to demonstrate a sense of balance between the personal and the commercial. When you get this balance right you will see the benefits ripple through employees and customers. Profit and performance are governed by a combination of policies, processes, and most importantly, the people inside the organization. Remember it all starts from the top – and leading by example is the most effective tool you can use at all levels of business, and…. life.